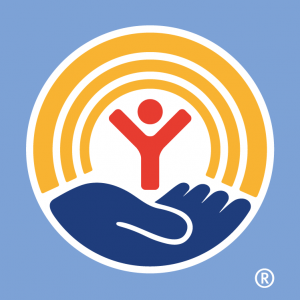 UWCA Annual Meeting Features Bold Goals – United Way of Central Alabama, Inc. The 5th Anniversary of BOLD GOALS, a United Way Initiative, was the focus of United Way ’s recent annual meeting. The coalition aligns existing programs, resources, and best practices to address, disparities in education, health, financial stability. It was founded on the principle of collective impact – the theory that social change can happen more quickly and effectively when a group of important organizations from different sectors come together around a common agenda for solving a specific social problem. 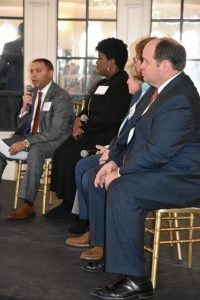 Art Franklin, CBS 42 anchor, moderated a discussion on collaborations in early childhood education, and panelists Jon Barnacastle, Danny Carr, Dr. Lisa Herring, Drew Langloh, and Joan Wright highlighted their successful collaborations. Joan Wright, Executive Director of Childcare Resources, spoke on first-class Pre-K. “If we don’t increase the access to early learning opportunities kids will fall behind, and we’ve learned that in Central Alabama we are already behind,” said Wright.” She added that the Bold Goals Coalition is taking steps towards changing that. For example, in the first year of having first-class Pre-K, there was only one successful program in Central Alabama, but in year two, three programs were certified first-class ready, receiving more than $500,000 in support. Community Food Bank Program Director, Jon Barnacastle, said fantastic things are happening through Bold Goals summer feeding program. The Bold Goals Coalition officially started its Summer Feeding Program in 2017 with seed money from organizations such as United Way of Central Alabama and the Community Food Bank. The purpose is to provide children in Alabama with a lack of access to food with meals during the summer. “Within one year, summer feeding sites increased from seven locations to 14,” said Barnacastle. Dr. Lisa Herring, Birmingham City Schools Superintendent, said that BCS recently created a strategic plan with a strong focus on literacy at an early age. “We have to start early literacy, not in first, second, or third grade.” She was also proud to share every Pre-K class in her system is certified as first-class ready. Jefferson County District Attorney and Bold Goals participant, Danny Carr, spoke on chronic absenteeism, and how many people don’t think his office works in this area, however, he said the district attorney’s office takes an in-depth look into daily school practices, offers professional development to teachers and school staff, and provides training on best practices. 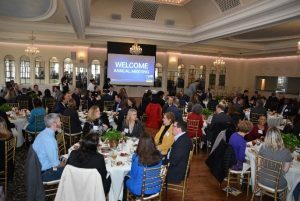 United Way of Central Alabama President and CEO, Drew Langloh, said since its creation five years ago, the Bold Goals Coalition has grown to have 200 partners with 25 similar metrics driving good results. 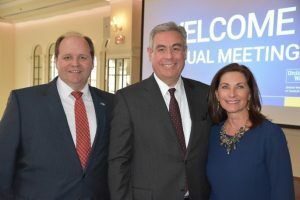 The Annual Meeting concluded with outgoing United Way Board Chair, Mark Crosswhite, Alabama Power President & CEO, introducing incoming Board Chair Mallie Ireland. Ireland most recently served as board Vice-Chair and has served as co-chair of United Way’s fundraising campaign as well as chair of United Way’s Legacy Gifts Committee. “I’m looking forward to working with this leadership team,” said Ireland.